We are back from our annual break with a BANG! We’re back from our Winter break with a BANG! Ward off, the winter woes with our New Winter Menu! Stellenbosch, as popularized in the dramatic and incredibly popular series, “Game of Thrones”, winter is not “coming”, but has arrived! 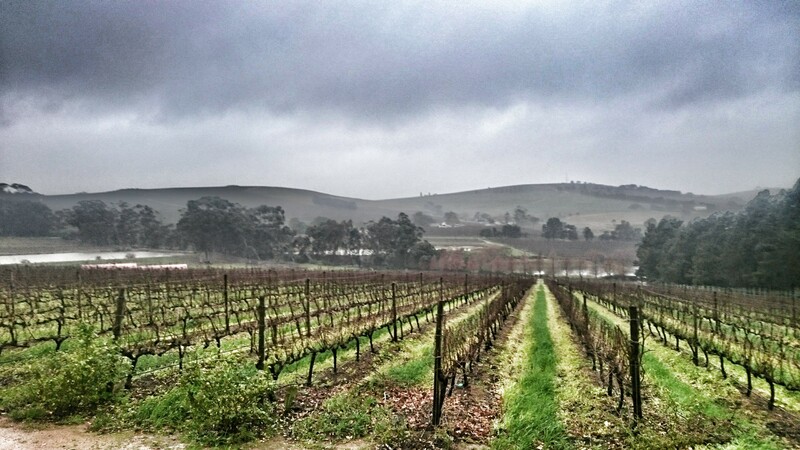 Who said vineyards can’t be beautiful in the winter? The days are shorter and the nights longer; the layers of clothing increased and the will to wander out and about, decreased. To invigorate the wanderlust in the food & wine enthusiasts lurking under their heated blankets, The Restaurant @ Clos Malverne launches its delectable Winter Food & Wine Pairing Menu 2015, featuring hearty dishes to accompany the chilly season. 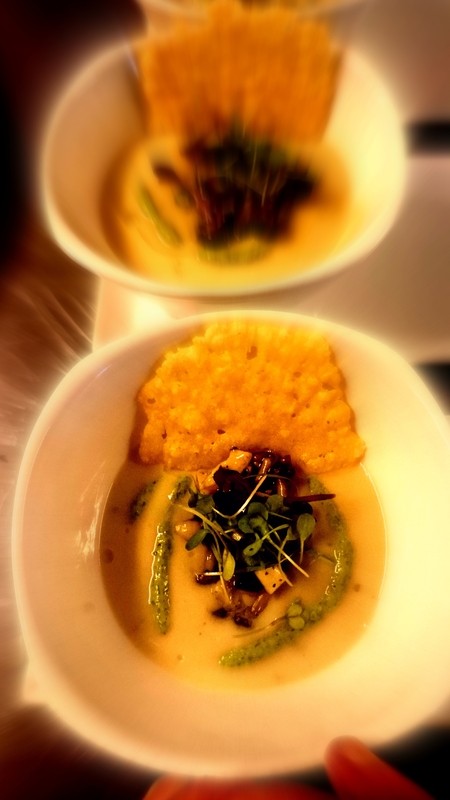 Guests can look forward to starting their culinary experience with a starter of Cauliflower, Parsnip and Truffle Soup; served with parmesan crisps, pan fried enoki mushrooms and a parsley pesto; paired with our lightly oaked Chardonnay. This is the perfect way to start a leisurely fuss-free; outer-city dining experience. The Food & Wine Pairing Menu – which allows you to ‘do lunch in style’ without having to break the bank – has also been given a welcome winter whirl. This sumptuous 4-course menu costs R298 per head and each of the four courses are served with a glass of matching Clos Malverne wine, which ranges from crisp Sauvignon Blanc to the estate’s multi-crowned flagship Cape Blend, Auret, and popular coffee-style pinotage, Le Café. For those folks who might not have the luxury of time for an extended lunch, or who are only slightly peckish, the items on the Food & Wine Pairing Menu, can also be found as individual items on the A la Carte Menu Winter 2015. Firm favourites on the menu like the Grilled Springbok Loin and Fillet Steak, are joined by new renditions of gastronomic gallantry. Dishes like the Oriental Style Pork Belly, served with crispy crackling on a bed of egg noodles with pak choi, cashew nuts, chili, lemon grass, lemon zest and an orange jus; paired perfectly with our Flagship wine, the Auret. Can you guess what dish this is? Download our new Winter Menu and take a look! All of the wines featuring on our fresh new menu is available in elegant three packs through our wine shop; now you can have your own Dinner Party, Clos Malverne Style! 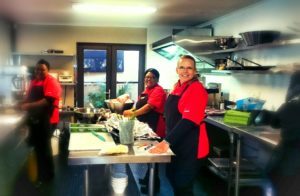 Having been on a well-deserved break for the past few weeks, Executive Chef, Nadia Louw-Smith and her expert team are eager to get back to doing what they do best: “They say absence makes the heart grow fonder and this was definitely the case with our team at the Restaurant @ Clos Malverne. In my 13 years in the hospitality industry I have never seen any of my staff been so excited to be back at work after our well-deserved winter break”, she adds. It must have something to do with the brand new cold kitchen that was installed in their absence! The additional preparation space will allow the Restaurant to prepare for larger groups and speedier service during normal luncheons. It is not only the kitchen facilities that got a face-lift the past few weeks, the interior of the Restaurant is also boasting some brand new artwork. From vineyard inspired pieces to a regal painting of The Father of our Nation, smiling down on the dining guests. Guests are invited to join us and to come and enjoy a relaxing meal off our new Winter Menu; a glass, or two of our award winning wines; efficient & expert service, all presented with love and care.